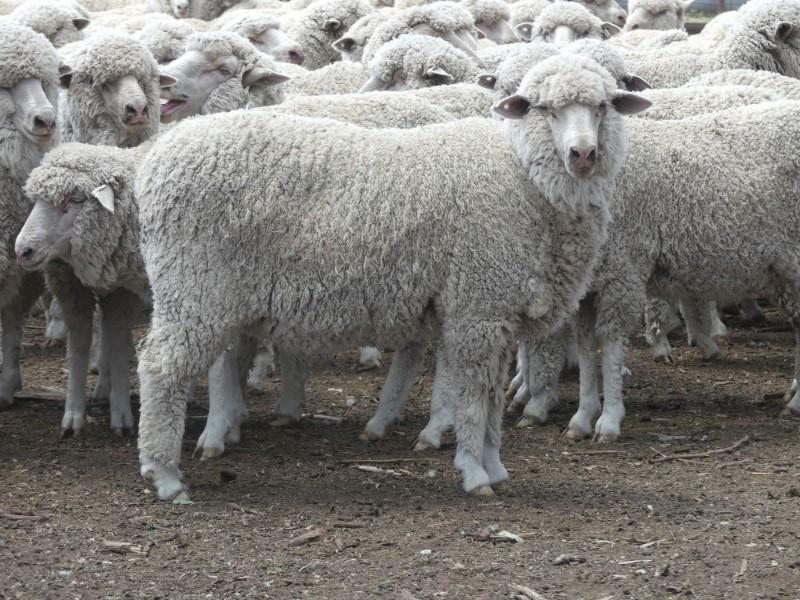 These 18-19 month-old early May shorn Merino hoggets sold for $176 at Galore in the Riverina last week on AuctionsPlus. ONLINE sheep and lamb offerings on AuctionPlus increased last week, but continued hot and dry conditions reduced the clearance rate. AuctionsPlus seller offered 85,471 sheep and lambs, an increase of 7590, and the overall clearance rate was back to 56 percent after post-sale negotiations. As the impact of the dry conditions moved southward, Victorian producers offered 18,982 sheep and lambs, 12,000 more than the previous week, and the Tasmanian offering rose 3976 to 5026. The New South Wales offering dropped 5141 to 51,548 and in South Australia 3280 sheep and lambs were listed, 1600 fewer. Western Australia’s offering was similar at 1260 and Queensland producers list 7075 sheep and lambs, 65 fewer. The offering of 7762 unjoined Merino ewes sold from $53 to $172, achieving an average of $102. The top price was gained for 210 Poll Merino ewes from Mantung, South Australia. The 30-32 month-old ewes weighed 60kg. Merino ewe lambs sold to average $89, ranging from $66 to $159.50. The top price was paid for 200 7-8 month-old lambs weighing 44kg. The 3733 Merino wethers sold made from $70 to $118 and averaged $104. The top price of was paid for 325 1.5 year-old wethers weighing 39kg with a 6cm fleece, at Cooma in New South Wales. Merino wether lambs sold from $56 to $120.50, averaging $86.55. The top price was paid for 445 7-8 month-old 44kg lambs at Hay. The 1484 first cross ewes sold made from $110 to $200, averaging $151. The top price was paid for 200 unjoined ewes at Holbrook, NSW. The 16-17 month-old ewes weighed 51kg and stayed in the state with a Tumbarumba buyer. The 2653 Dohne ewes sold made from $68 to $151 and averaged $95. The top price was paid for 154 unjoined ewes at Piangil in Victoria. The 1.5-2.5 year-old ewes weighed 70kg and were sold to a Bendigo buyer.